As Republican nominee Donald Trump’s campaign tries to move past a recently released 2005 tape of his lewd remarks about women, more video of similar comments made by Trump is surfacing. 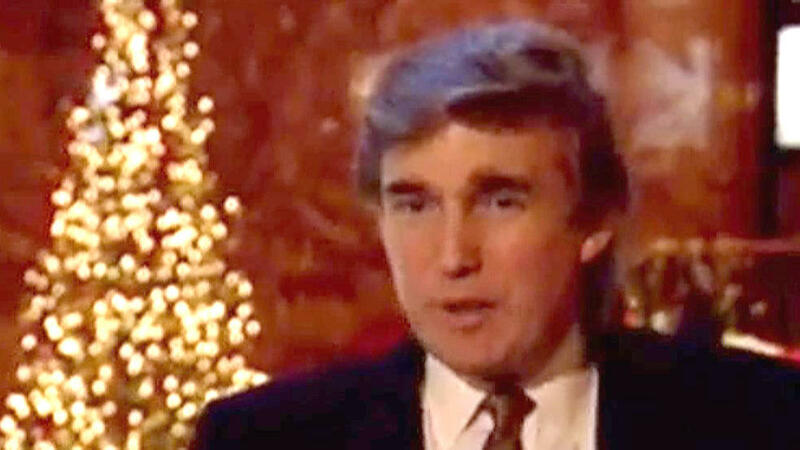 In an “Entertainment Tonight” Christmas feature in 1992, Trump looked at a group of young girls and said he would be dating one of them in ten years. At the time, Trump would have been 46 years old. The video, released Wednesday evening, was shot at Trump Tower. It is not the first time Trump has made reference to his interest in dating much younger women. In 2006, he made a similar comment about his own daughter, Ivanka Trump: “I’ve said that if Ivanka weren’t my daughter, perhaps I’d be dating her,” Trump said. The issue ballooned when 2005 video from “Access Hollywood” revealed lewd banter between Trump and entertainment reporter Billy Bush, who has since been suspended by NBC. The GOP candidate has defended his remarks as “locker room banter,” apologizing for his suggestion that “when you’re a star” you can “grab [women] by the p****.” “You can do anything,” as he said in the 2005 tape. In Sunday’s debate with Hillary Clinton, Trump insisted it was all “just words” and that he had never groped a woman. But at least three women have now come forward to contest that dismissal, telling news organizations he groped them in personal encounters at his home, at Trump Tower in New York, and on a commercial flight. Trump’s campaign said late Wednesday that it would file a lawsuit against the New York Times over a story published by the paper earlier that day, with the accounts of two of the women. Also Wednesday, People magazine published an account by one of its reporters who recalled Trump “pushing me against the wall, and forcing his tongue down my throat” during an interview session at his Mar-a-Lago home. The alleged attack, according to reporter Natasha Stoynoff, came as Trump’s wife Melania, who was then pregnant, changed into a different outfit in another room before they continued their joint interview. The encounter was in 2005, the same year the now-infamous encounter with Billy Bush was recorded, according to Stoynoff. Meanwhile, a former beauty queen is confirming Donald Trump’s own words about walking into pageant dressing rooms unannounced, following recently resurfaced audio recordings where Trump boasted about his ability to do so as the owner of the Miss USA pageant. In audio from Howard Stern’s radio show in 2005, Trump could be heard discussing how he would use his position of power in the pageants to peek at women while they were undressed.